BRP launched the Sea-Doo Spark to a select group of media in an incredibly high-energy, color themed press event. 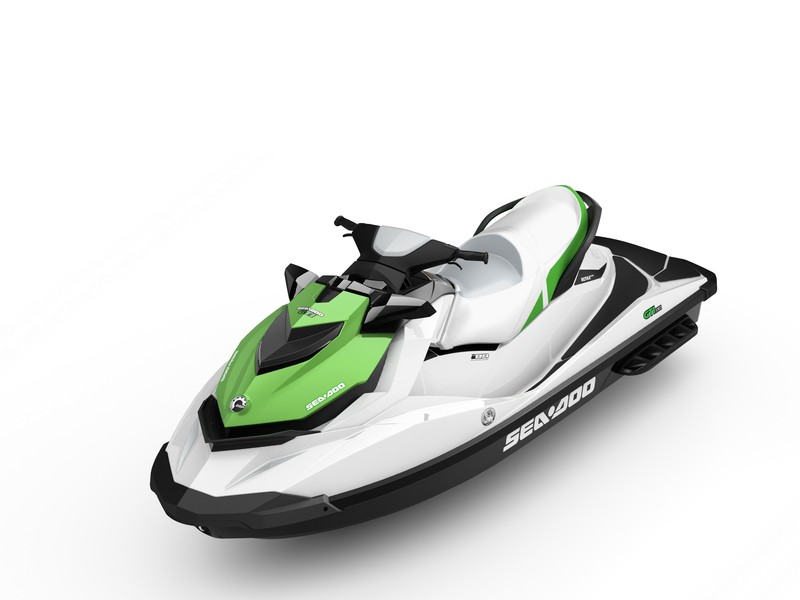 The Sea-Doo Spark has been in development for eight years with the mandate of providing a watercraft alternative that people can buy two for the price of one, starting at $4999. The media see the best of whats new so it’s hard to impress those who see the best in the best light but this is what they had to say about the new 2014 Sea-Doo Spark. 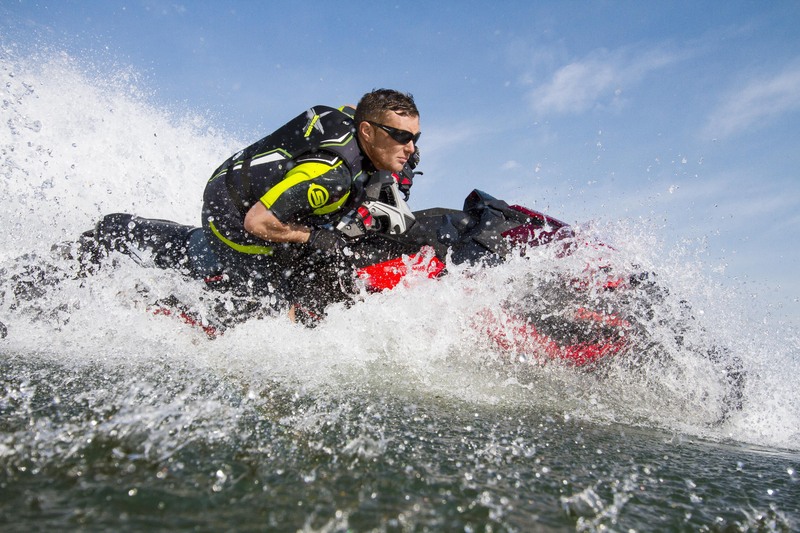 BRP pioneered the concept of the luxury watercraft and the Sea-Doo GTX models continues to set the standard for the riders looking for ”the best of the best”. BRP’s Sea-Doo GTX Luxury lineup is built for the watercraft customer looking for the highest level of luxury, comfort and technologies for optimum convenience and style on the water. These luxurious touring watercraft provide ideal performance on any water, excel on long rides and are built to handle rough water. Debuting in 2014 is the Sea-Doo GTX Limited 215 watercraft, a powerful non-suspended model that completes the Luxury segment. BRP’s Sea-Doo GTX watercraft lineup is the industry leader in Luxury watercraft and satisfies the need for exclusivity and elegance. BRP continues to set the benchmark in premium styling, plush comfort, functionality, performance, and reliability. All Sea-Doo GTX models include the world’s only on-water braking system, Intelligent Brake and Reverse (iBR), as well as Intelligent Throttle Control (iTC), delivering greater riding comfort, convenience and control than any other watercraft on the market for touring enthusiasts. The GTX segment includes the exclusive S3 hull (Stepped, Stable, Strong) that provides better wave penetration for a more stable ride. 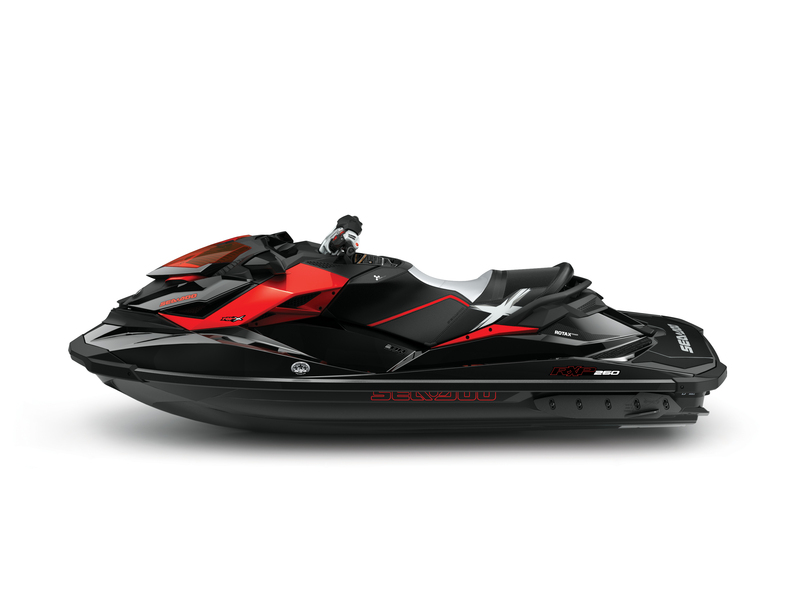 The GTX segment also offers Sea-Doo exclusive suspension options for maximum comfort. The 2014 GTX 155 model is the most affordable way to get into the Luxury segment with great style, features and price. The GTX 155 watercraft is ideal for riders who crave luxury while looking for a non-supercharged Rotax engine package with great fuel economy and overall affordability. The GTX 155 model features iBR, iTC with ECO mode, Cruise control / Slow modes, fuel consumption display, VTS, plush custom touring seat, hinged seat, tilt steering with digital infocentre, fold-down reboarding step, large glove box and watertight removable storage bin. 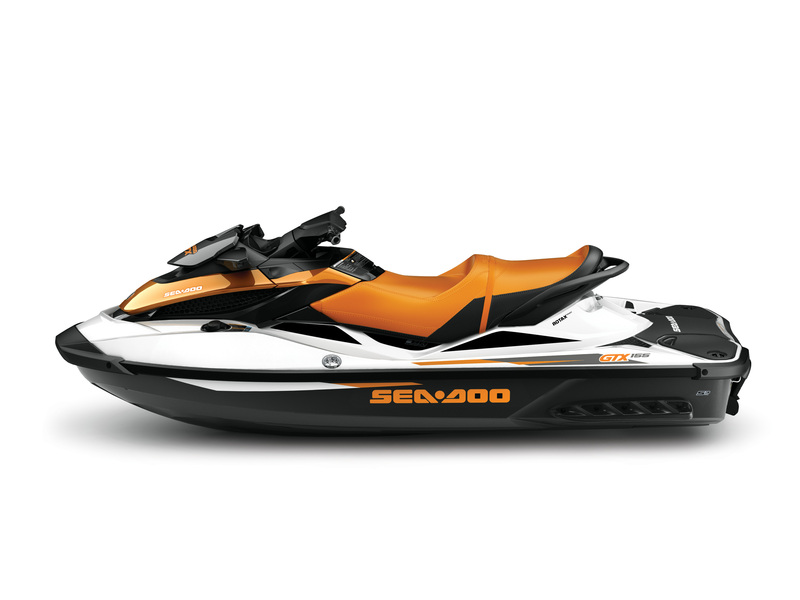 The 2014 Sea-Doo GTX is sure to capture the affluent boater’s eye with all-new Alloy Orange coloration. Customers looking for extra comfort at an entry-level price in the Luxury category can choose the GTX S 155 model which features S suspension with 5.5 inches (14 cm) of travel tuned for optimal comfort with manual adjustments to ensure a smooth ride in a variety of conditions, riding alone or with passengers. Refined watercraft buyers who have the highest expectations in terms of luxury, power, comfort and convenience will delight in the fully loaded Sea-Doo GTX Limited iS 260 watercraft. This model sets the luxury performance benchmark; it’s simply the crème de la crème. The GTX Limited iS 260 model offers the same equipment as the GTX Limited 215 watercraft and has the same premium Anthracite Grey coloration. 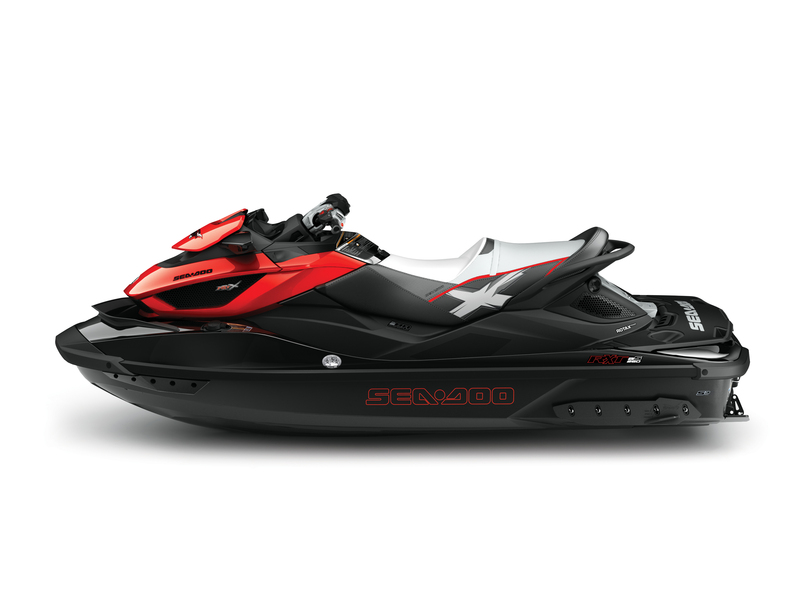 It is also the only watercraft with Intelligent Suspension (iS), this exclusive feature is part of the Sea-Doo iControl system for the smoothest ride possible in choppy conditions thanks to the auto calibrating, full rider suspension. The GTX Limited iS 260 model is the ultimate in touring comfort, power and convenience on the water. 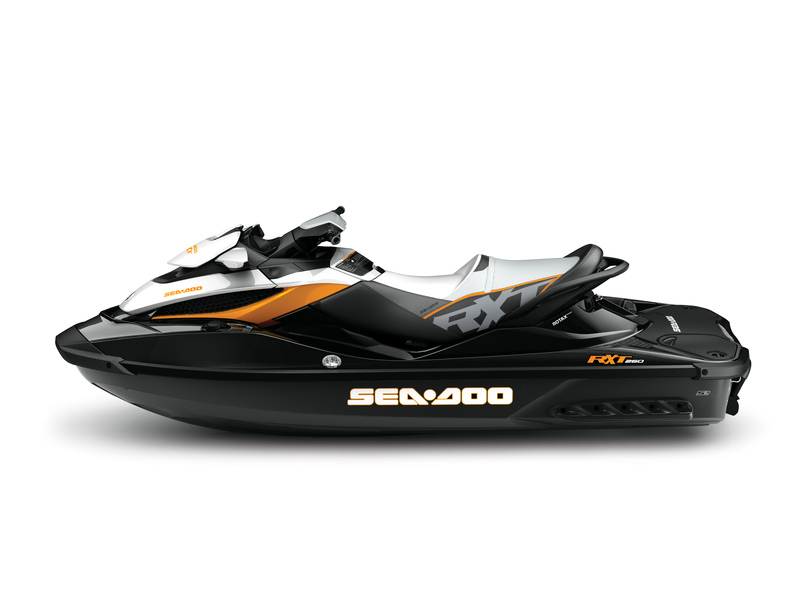 Powered by its Rotax supercharged High Output engine, the Sea‑Doo GTX Limited iS 260 offers premium performance and an array of luxury features to make this watercraft the most fully equipped watercraft in the industry. Here are a few examples of the Attitude Graphic kits available for the Sea-Doo Spark watercraft. Custom wraps are available by visiting www.scsseadoographics.com. 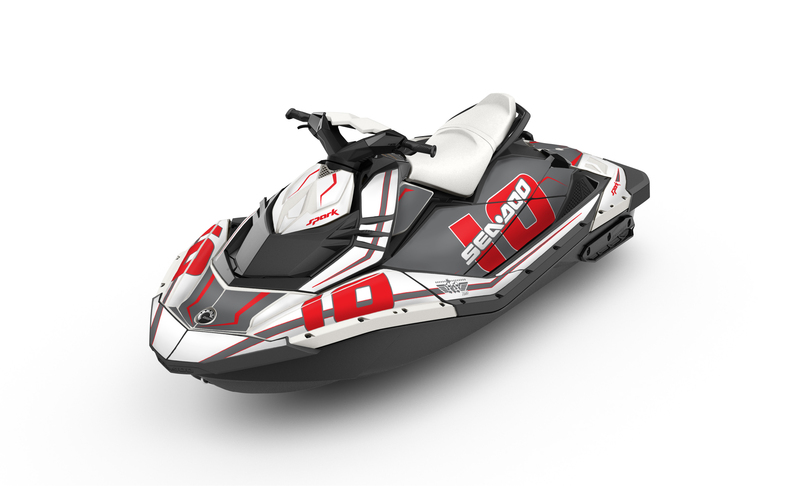 BRP launches the all-new Sea-Doo Spark watercraft, creating a new category destined to re-“spark” the industry. 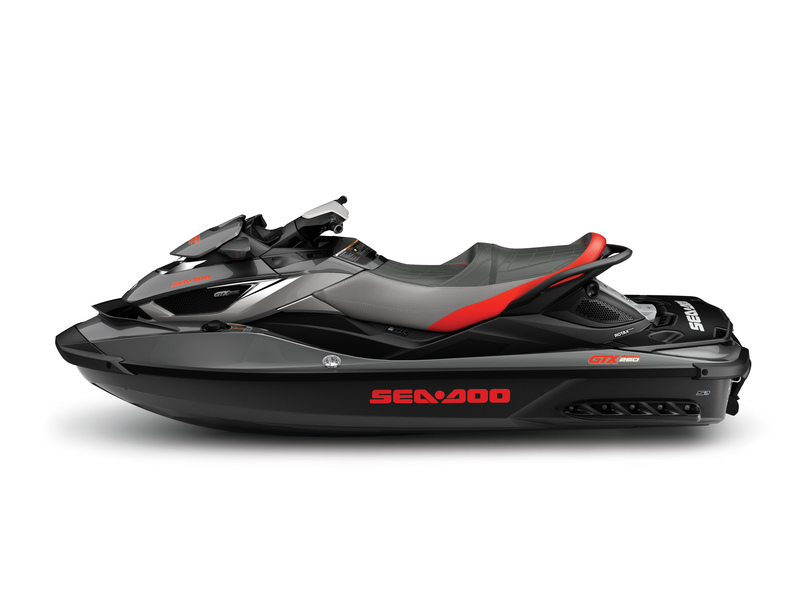 The 2014 Sea-Doo Spark model is an entry-level watercraft that is fun, accessible, lightweight, easy-to-ride and affordable. The Sea-Doo Spark watercraft will make the dream of fun on the water possible now for young families. It joins the industry’s best lineup, including new eye-catching colors and the new Sea-Doo GTX Limited 215 watercraft, to deliver fun, affordability, peace of mind and the most technologically advanced watercraft on the market. The Sea-Doo Spark will make owning a watercraft easier than ever before. 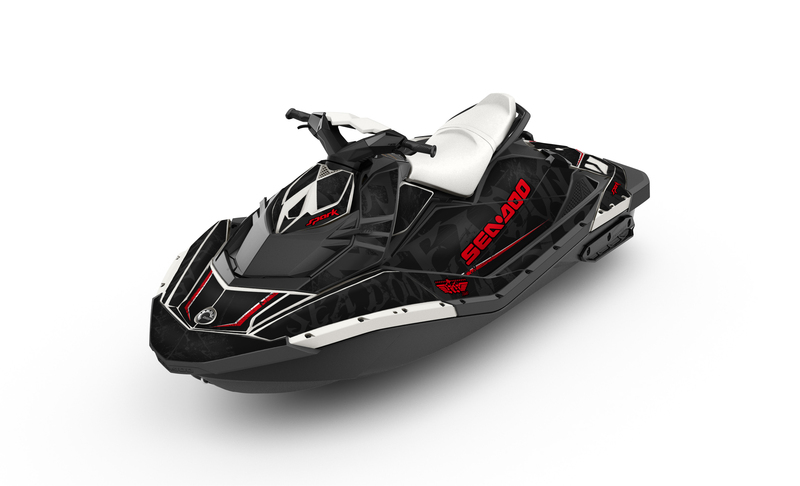 BRP continues the legacy of paradigm shifting the watercraft industry with the most accessible watercraft on the market: the 2014 Sea-Doo Spark watercraft. The Sea-Doo Spark model costs close to 40% less than the closest model1 and is the most fuel-efficient watercraft in the industry2. 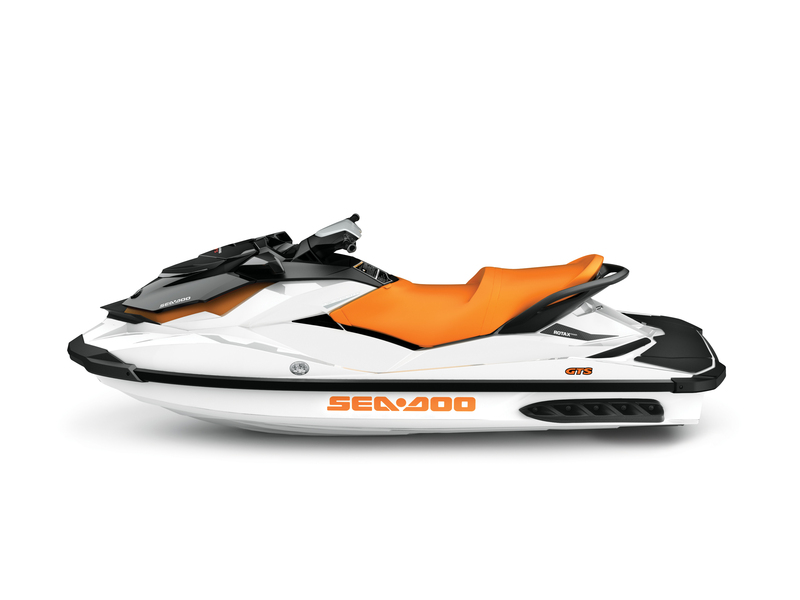 The Sea-Doo Spark watercraft is compact, designed with an all-new Exoskel architecture consisting of a lightweight durable Polytec material, making it easy to maneuver and extremely playful. Its lightweight also makes it easy to tow. 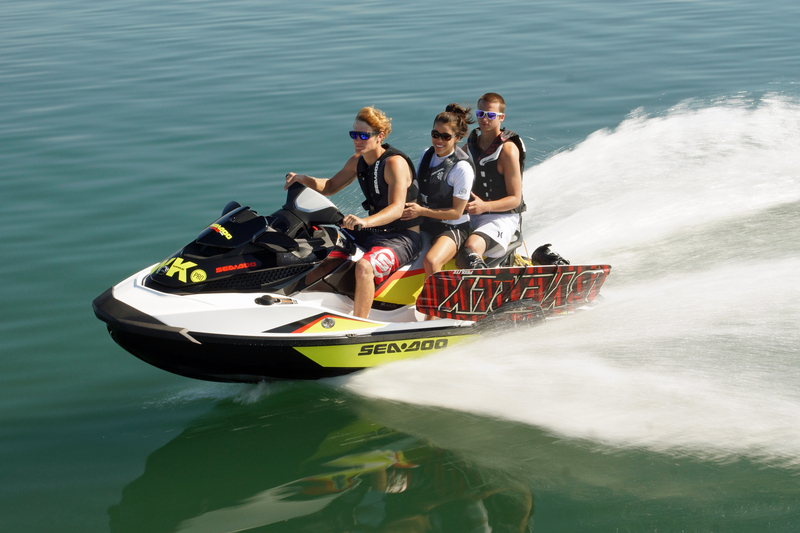 Two Sea-Doo Spark watercraft and a Sea-Doo Spark Move II trailer weigh less than 1,500 lbs. (680 kg), making it easy to tow behind many popular compact sedans. 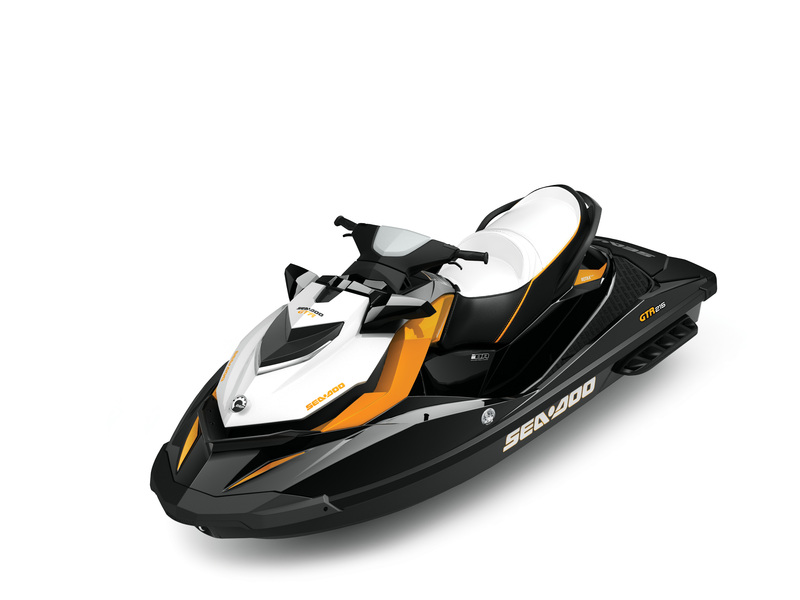 The Sea-Doo Spark watercraft is a blast to ride thanks to its power-to-weight ratio and close to 50% better than the closest competitive model3. It is also fully customizable with multiple configuration choices: 2up or 3up configurations, choice of engine packages, with or without Intelligent Brake & Reverse (iBR), with or without the Convenience Package, in five color options, a host of new accessories and 20 vibrant Attitude Graphics kits that can be added, all designed to enhance your family time on the water. 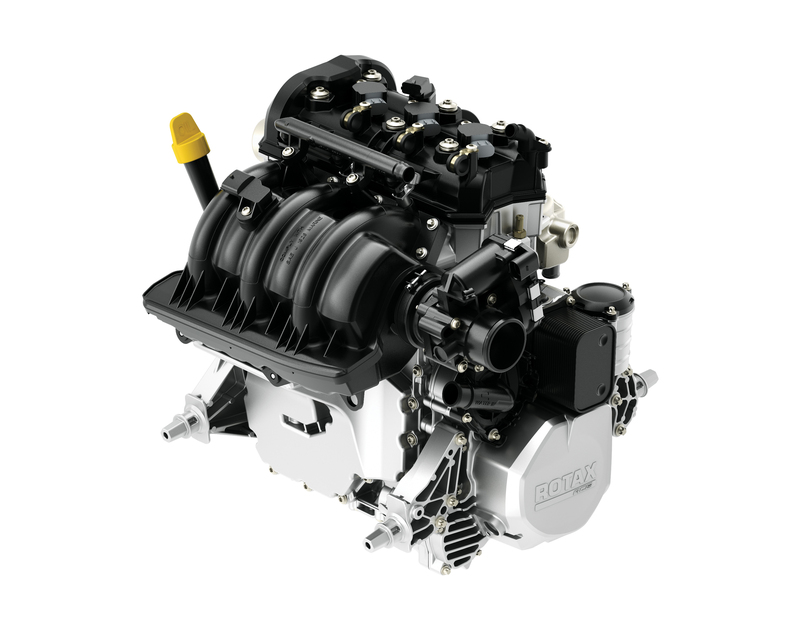 The Sea-Doo Spark watercraft includes the new Rotax 900 ACE family of engines, a breakthrough technology that makes it the most compact and lightweight engine on the market today. The Sea-Doo Spark watercraft is easy to buy, easy to tow and easy to own, and carries with it the industry-leading DNA that makes it a Sea-Doo watercraft. Sea-Doo brand the only watercraft that starts automatically in neutral. 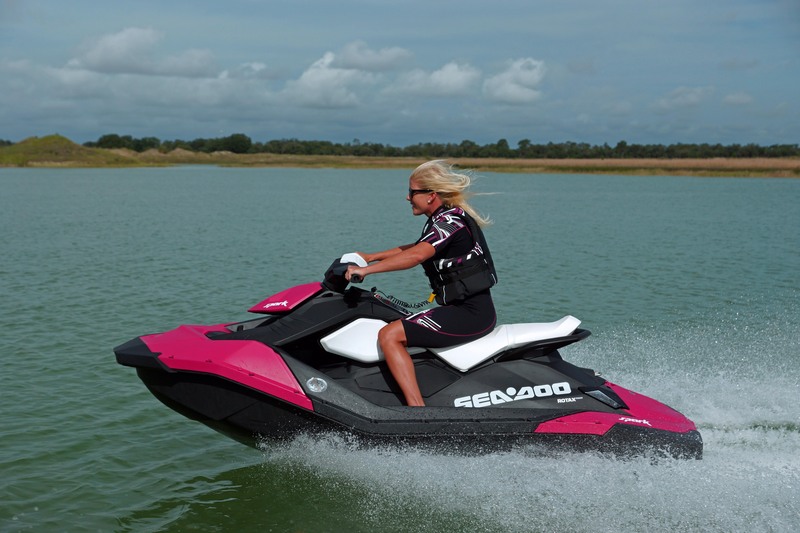 Sea-Doo’s exclusive iBR technology offers riders more peace of mind with a braking system that allows riders to stop up to 100 feet sooner than other watercraft5. The most selective consumers gravitate towards the GTX segment of Sea-Doo watercraft, as this remains the standard by which all other luxury watercraft are measured. 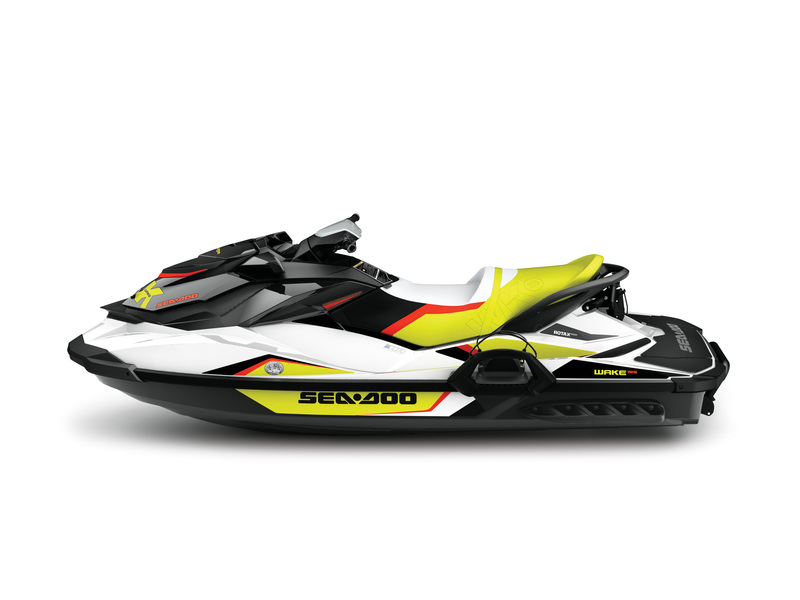 The newest addition to this segment is the new 2014 Sea-Doo GTX Limited 215 watercraft. 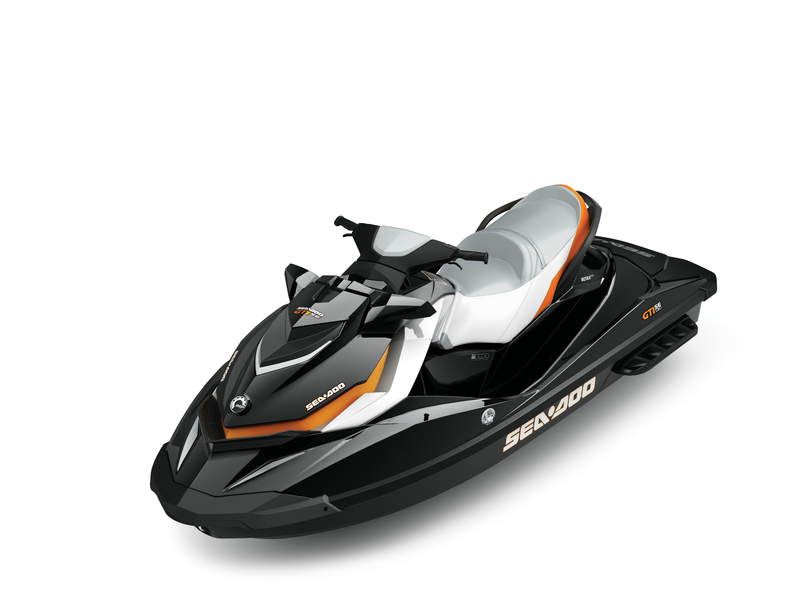 This model is the most powerful, non-suspended Sea-Doo model in the luxury segment. This mid-level luxury watercraft is ideal for riders who crave a premium touring experience and are seeking a watercraft offering much more than standard features. The GTX Limited 215 model features iBR, Intelligent Throttle Control (iTC) with the ECO mode and includes the exclusive Limited package adding a custom cover, Speed Ties, depth finder, glove box organizer and removable dry storage bag to the loaded model package. The 2014 Sea-Doo GTX Limited 215 watercraft is available in Anthracite Grey. 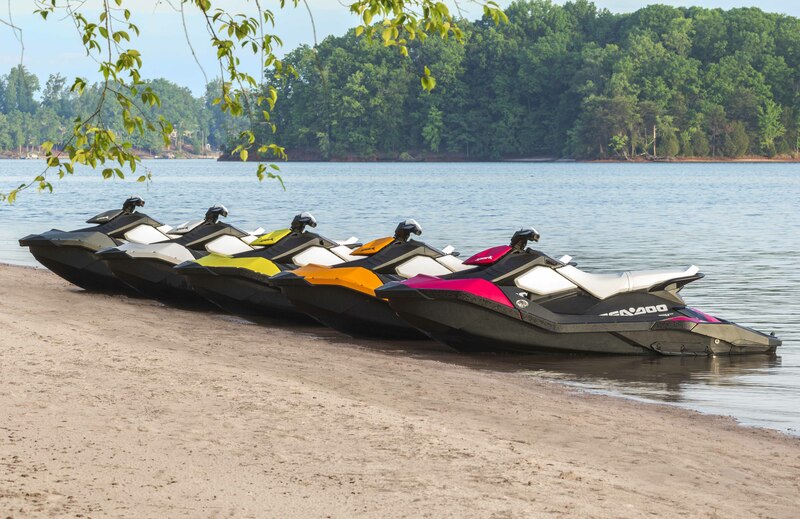 BRP color bursts ignite the 2014 Sea-Doo lineup. 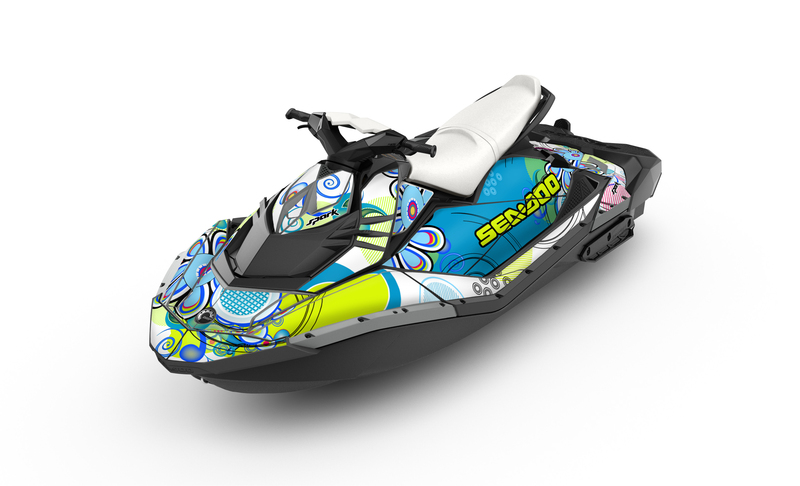 •The BRP lineup of 2014 Sea-Doo watercraft includes vibrant new colors across many of the segments. The burst of fresh color with many trend-setting options will excite the most discriminating rider looking for the best in luxury watercraft. 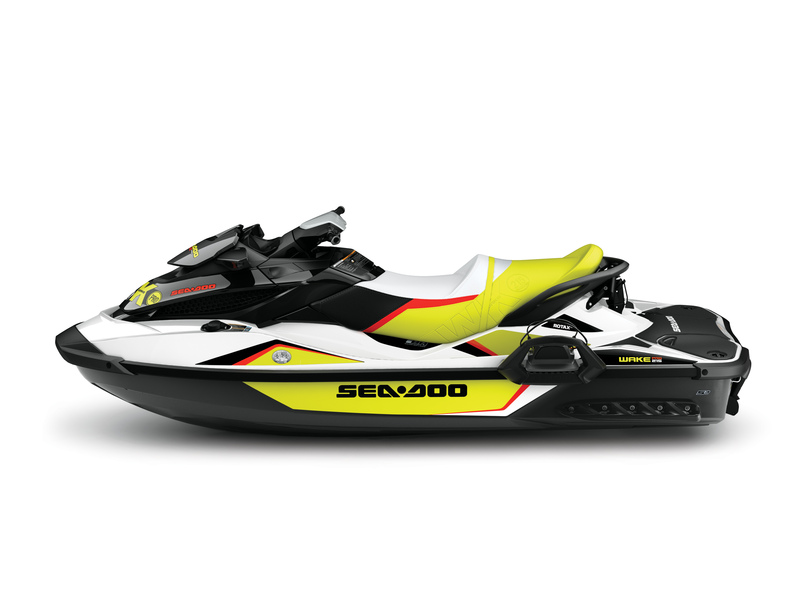 •Sea-Doo Spark watercraft are completely customizable, available in five vibrant colors including Vanilla, Orange Crush, Bubble Gum, Pineapple or Licorice. 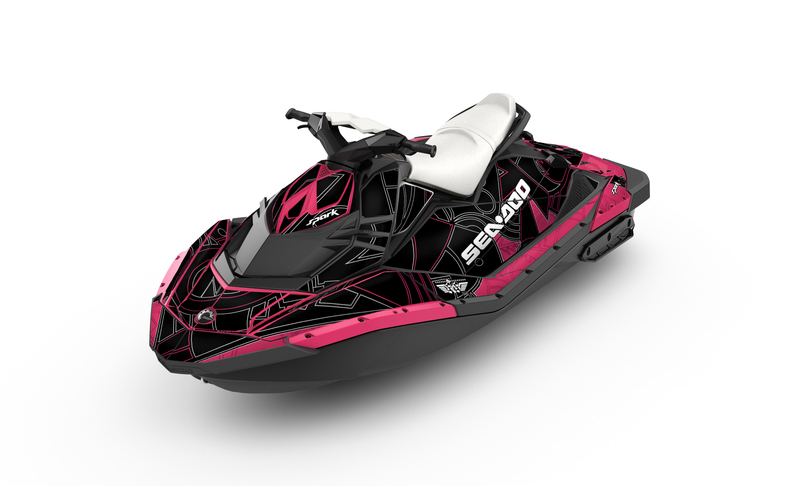 Consumers can also further customize the Sea-Doo Spark watercraft by choosing one of 20 Attitude Graphic kits, with 3 different levels of wrap to personalize their Sea-Doo Spark model even more. •In the Tow Sport segment, the 2014 WAKE 155 & WAKE PRO 215 models debut in Dayglow Wake coloration. This is the first time the WAKE segment has been available in a colour besides Wake Red. 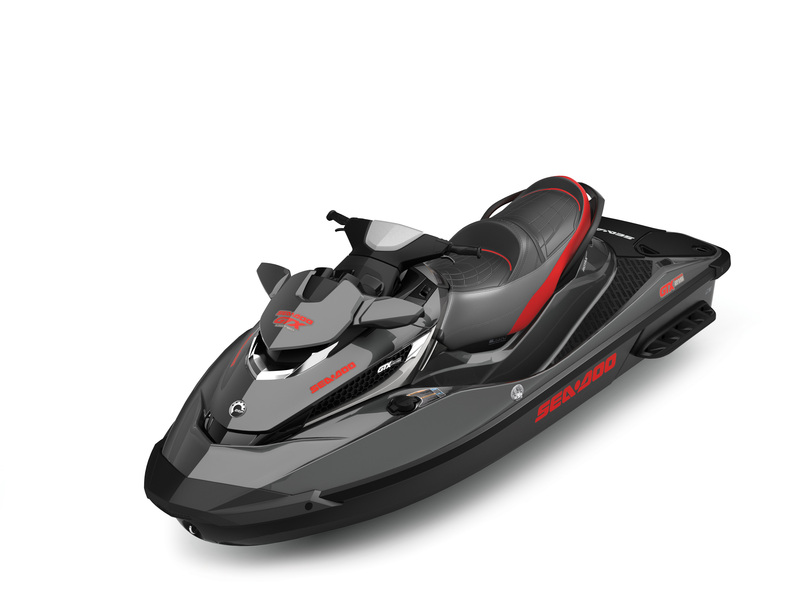 •In the 2014 performance segment, enthusiasts will notice a new colour on the starting and finish lines as the X-series watercraft (RXT-X 260, RXT-X aS 260 and RXP-X 260 models) will be available in a Viper Red coloration. •BRP’s luxury segment has expanded the Anthracite Grey color to the new GTX Limited 215 model and will offer a handsome Alloy Orange for the 2014 GTX 155 and GTX S 155 watercraft. 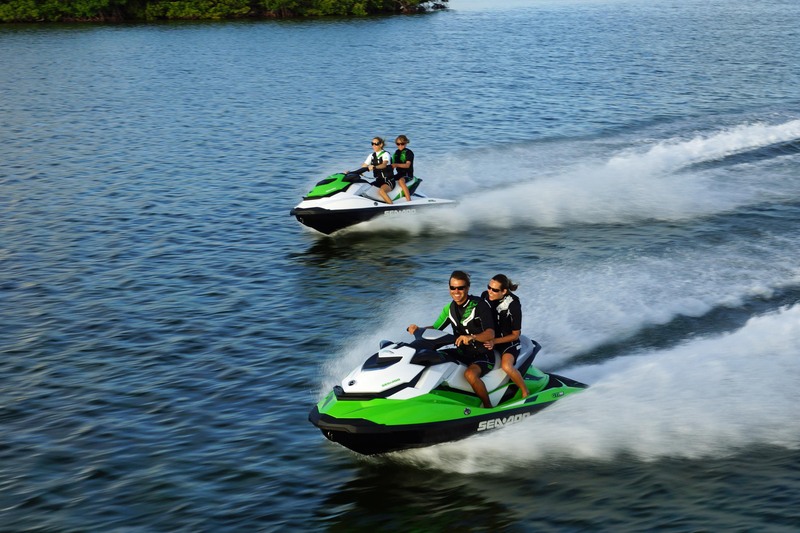 •With various improvements in different systems, Sea-Doo watercraft can now run longer without interruption. Last year, BRP revised the service interval for the supercharger, extending it to 200 hours of use regardless of the number of years. For 2014, the new maintenance schedule requires the first oil change to be done after one year or 50 hours, subsequent changes are needed only every 100 hours or after a year of usage for all models. Another Sea-Doo maintenance improvement for this year is the fact that the engine coolant can now be used for 5 years or 300 hours before needing replacement. 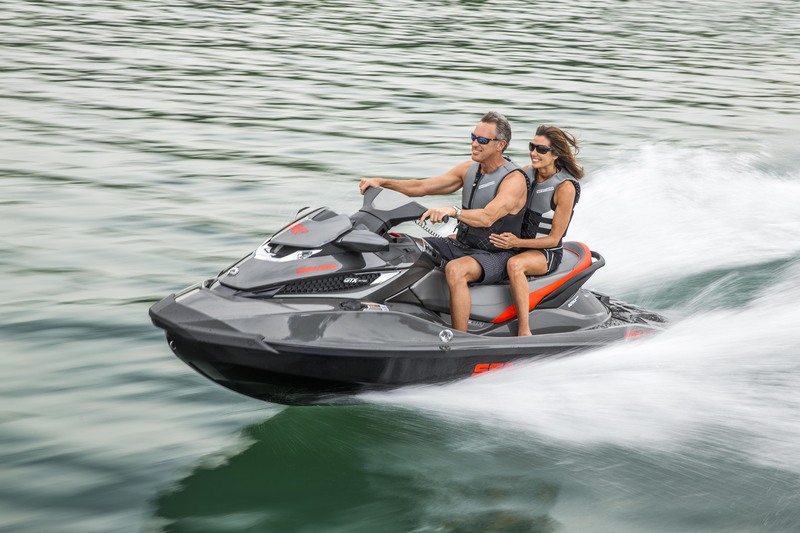 BRP’s Sea-Doo 2014 watercraft lineup offers an extensive range of models that continue to set industry benchmarks in each segment, and meet and exceed every type of riders’ desire in performance, commodity, rider comfort and safety. 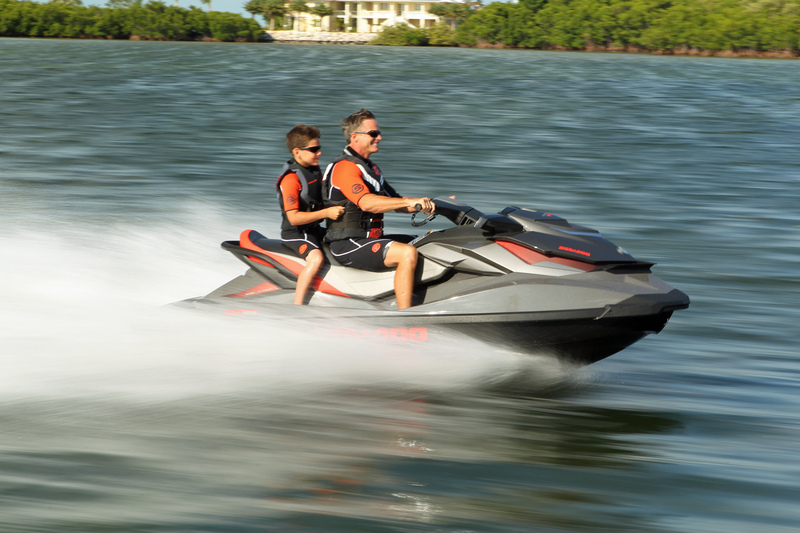 The new 2014 Sea-Doo Spark model turns the dream of family fun on the water a reality right now. Not all models available in all regions. * Model names may differ for international markets. Source: Manufacturer’s website. Prices vary according to product specification. 2 Based on BRP internal testing. Testing of competitive models done under identical conditions. 3 Source: Manufacturer’s and the Air Resource Board websites. Power-to-weight ratio varies according to product specifications. 4 Based on 2012 season. 5 Based on BRP internal testing. BRP listens to customers’ feedback to develop products that address their desires to deliver a product that delivers on the Sea-Doo dream.